Mete is a little boy when his father is killed before his eyes. He neither sees the murderers nor understands the reason behind this murder. After his father’s death, he starts to live together with his grandmother and tries to have a normal life. 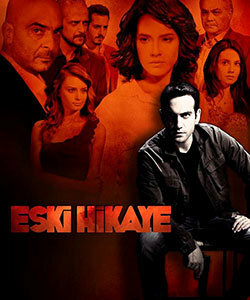 14 years later, Mete (Bugra Gulsoy) becomes a young man who has a modest life. He goes to university and works as a taxi driver to earn money. No matter how hard he tries, he cannot forget his memories about the past. He does not have a proper sleep at night and for this reason, he tries to occupy himself with various things all the time. He knows that he cannot have a normal life unless he finds the murderers of his father and gets his revenge.